Hi my name is Eric Berson and I specialize in sculpting works of art with my chainsaw in various types of wood. Thanks for taking a few minutes to learn a little bit about me. I am an Alaskan-born chainsaw artist, and I create one-of-a-kind sculptures. In 2001, I looked at all the beetle killed spruce around my property in Clam Gulch, AK, and wondered what I would do with all of that wood. Surely, there was something special that could be done with it. So, I picked up a chainsaw and the rest, as they say, is history. Be sure to take some time to enjoy my gallery, and take a few minutes to read the remarks of some of my fans. You will find images of some of the pieces I have created here, but I also have pieces on display at the following locations..
Got something specific in mind that you don't see here? No problem! I will gladly accept commissioned projects as well. 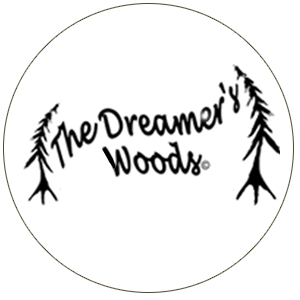 We named The Dreamer’s Woods in honor of Kenny Robbins who was called “Dreamer”. Eric Berson with the Dreamer's Woods has numerous award winning chainsaw carvings and wood sculptures and is sought out for his unique creations as a fine wood sculptor commissioned artist.